James Tyberonn's third book is a brilliant compilation of cutting edge channels from Archangel Metatron. Topics include the new Crystalline Light Body with in depth discussion of requisite Auric Maintenance and the geometry of the new tri system Mer-Ka-Na. 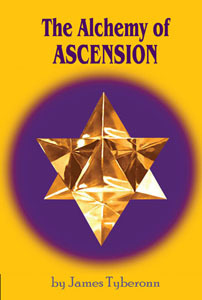 The new light body correlates to the Crystalline Transition of the planet and the 144-Crystalline Grid, which will be in place for 2012. Several chapters focus on the new Crystalline Light Body processes and tri levels of development (Mer-Ki-Va-8; Mer-Ka-Va-12 and Mer-Ka-Na-20). Other topics include the Increasing Spin of Planet Earth, Earth Changes, 13-20-33 Auric Circuitry, The Polarity of Power and Love, Divine Sovereignty, The Crysto-Electric Cosmos and Antimatter and the Angelic Realm. This is a fascinating 'must read' for the serious seeker and metaphysician.